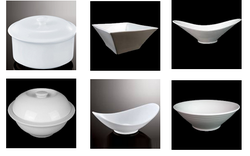 In our broad assortment of products, we are importing and exporting a qualitative gamut of Porcelain Dishes. Fabricated at vendor's end using the best quality raw material and latest technology, the offered product is designed in compliance with international quality standards. Offered product is widely used in various hotels restaurants and other places. 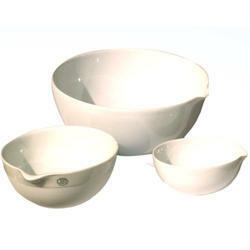 complete porcelain dishes are available in flat and round form. Available sizes: flat:60, 75, 100, 125, 150, 175, 200 & 250mm round:25, 40, 50, 60, 75, 85, 100, 110, 125, 140, 150, 175, 200, 250, 300, 350, 400, 450, 500mm lesser quantity order for sizes above 200mm are also supplied.